This picture was taken when working on Quadra Island in February. I have been away for a few weeks and just got back. In a day or two I expect to catch up with your comments and settle back into a bit of a routine. Though I will be very busy for a couple of weeks. It is! This is where I will be spending August, at least the evenings in August. 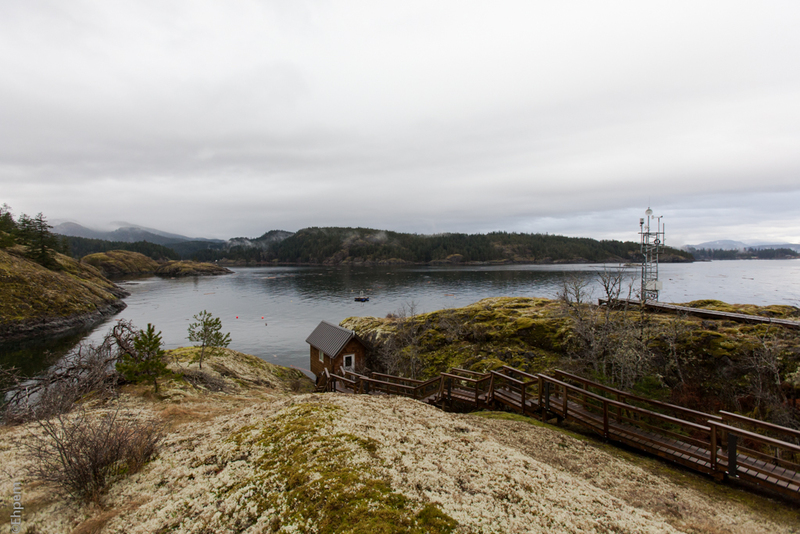 The place we stay, and our field lab, are located on top of the bluff mid-distance to the left. Pretty idyllic place to be for a few weeks. Wow, lucky you – and I look forward to more beautiful photos of the area.